Tactile feedback from a touch screen keyboard is crucial, in my opinion, but I don’t like sounds when I tap keys. You may not be like me—maybe sounds are your thing, but vibration is annoying. Or maybe you dislike both (you rebel!). 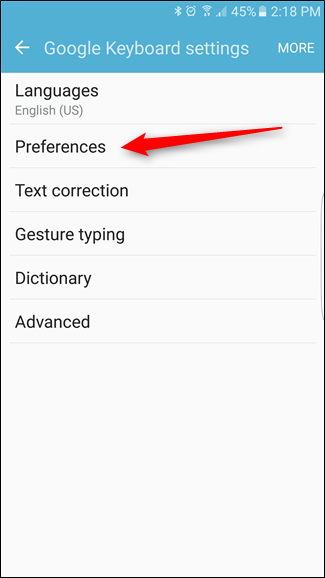 The good news is that you not only enable or disable both of these features in Google Keyboard, but you can also adjust each of them. Here’s how. 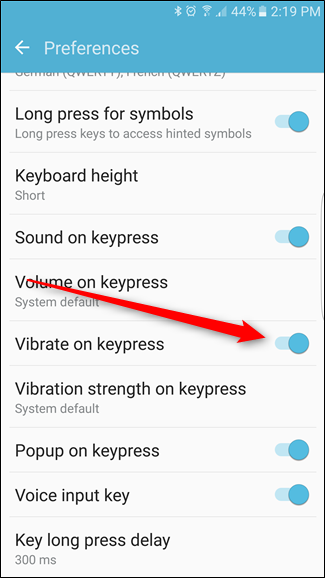 Like with everything else, the journey into the sound and vibration options starts in Keyboard’s Settings menu. It’s an arduous one, but if you choose to accept this mission, then long-press the button just to the left of the space bar. There’s no turning back now. 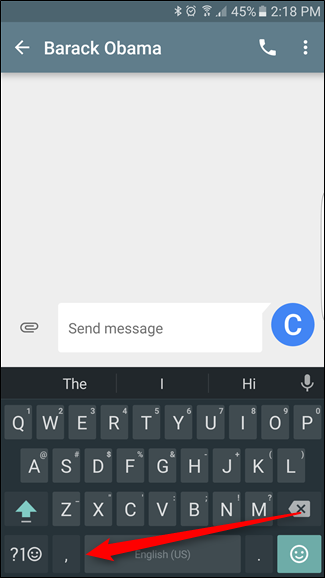 Once you release the key, a popup window will appear with two options: red pill or blue pill Languages and Google Keyboard settings. Tap the latter. In the Settings menu, everything you’ve ever hoped and dreamed for can be found under “Preferences.” And by “everything you’ve ever hoped and dreamed for,” I mean Vibration and Sound settings. Sound options are about three-quarters of the way down the menu. It starts with a simple toggle—this option is disabled by default, so if you want sounds, go ahead a slide it over. 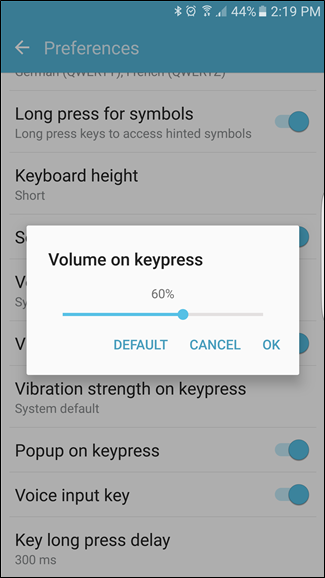 Once “Sound on keypress” has been enabled, the option directly below will allow you to customize how loud the sound is. It’s set to “System default”, but you can use the slider to tweak the volume to your desired level. 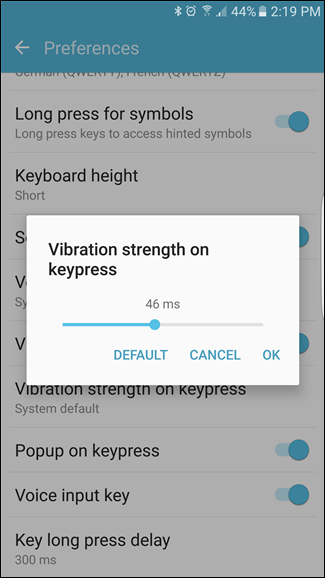 Vibration settings work essentially the same way. 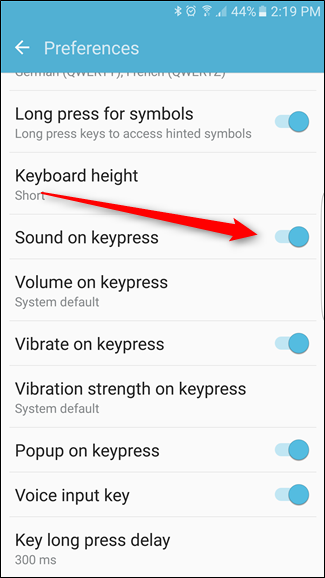 “Vibrate on keypress” is on by default, so if you don’t like this sort of physical feedback, you can disable it with the slider. If you do like it, however, you can adjust how hard (or soft) the vibration is in the menu just below. I personally find “System default” to be plenty strong enough, but there’s nothing like a shock-level vibration to let you know you’re alive. Go ahead and bump it all the way up—see how stupid this thing can get. On 100ms, my phone feels like a tiny weed eater. I can’t imagine typing like that for more than three words or so. But if you like it, I’m happy that it exists. 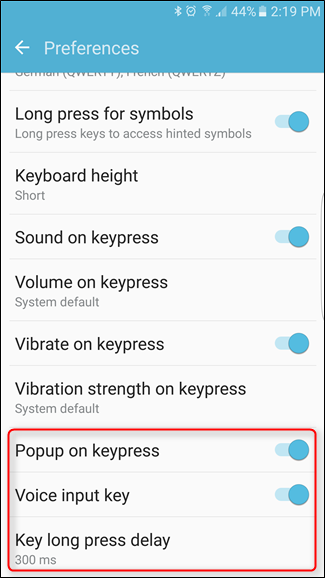 There are a couple of other little tweaks here, too: “Popup on keypress,” which shows a magnified version of the key as you type it—you know, to visually define your accuracy; “Voice input key,” which is where you can enable/disable the mic button on the keyboard; and “Key long press delay,” which is where you can personally define what “long press” means to you. I’ve never changed this feature. I don’t need that much control of my own life. 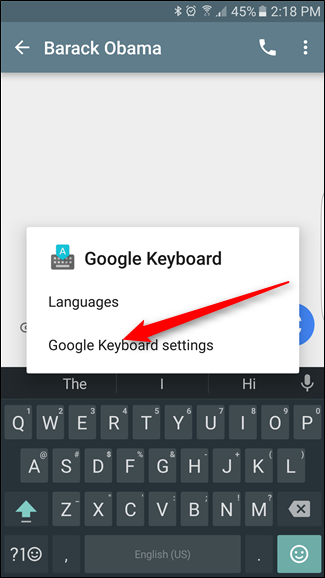 The newest version of Google Keyboard has taken a page or two out of the playbook of most popular third-party keyboards, which only serves to make this keyboard even better than it was before. There are a lot of customization options so you can type how you want to type (even that can only be described as “poorly”), which we think is pretty neat.